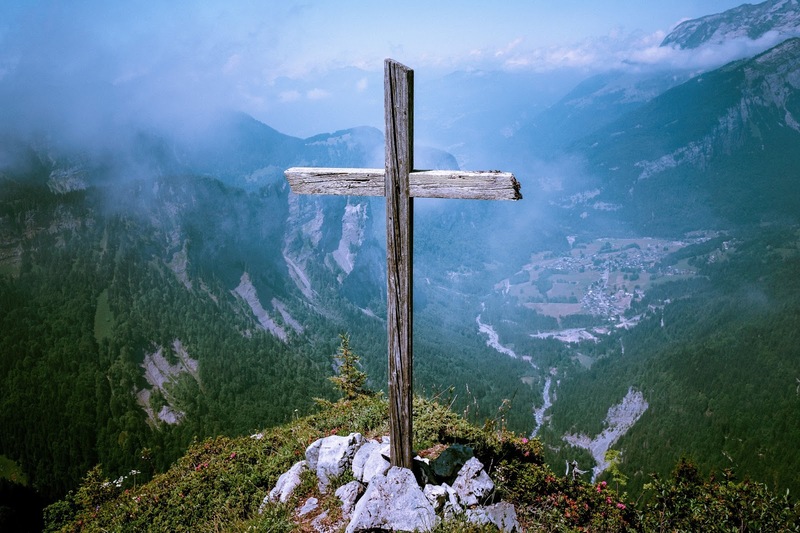 A day in which we celebrate Christ's resurrection, the stronghold of our Christian's faith. Celebrating Easter is POWERFUL and DEEP. When you pause your life for a minute and really let it soak in, the truth of the gospel is emotional, beautiful, earth-shaking. He died for ME. And You. And our grandparents, and their grandparents as well as our kids, and their kids. He died for the human race. But how many of us show up for Easter services and feel no emotion? How many of us hear the sermon, but do nothing in our lives to allow the resurrection to change who we are? In a recent study, 75% of Christians were said to believe in the gospel, but choose not to live their lives in a way that reflect their belief. So how can we be different? How can our lives display our belief? Acknowledge Jesus's authority over our lives. We must REPENT and have TRUE FAITH in his word and promises. We must put off the old self, and clothe ourselves with the new. Ephesians 5 calls us to not be controlled by anger, to give generously to others, avoid using foul or abusive language, be honest with one another, be kind, tenderhearted, and forgiving towards others, even our enemies. Instead of being drunk with wine, it calls upon us to fill ourselves with God's spirit and to sing his praises. Speak praises and kind words and to and about others, let every word we utter please God. He asks us to expose the darkness by radiating His light through us. Anyone of any religion can worship God. We must worship Jesus as our Lord and Savior. The one who sacrificed himself as the Lamb of God for each of us. Spread the Good News of Jesus. It is our moral obligation to spread The Good News. Maybe you are like me and many other Christians and feel like you don't even know where to begin in how to spread the Good News to an unbeliever. Maybe you are intimidated and feel you lack the sheer knowledge (like me, also). But there is a very clear way that you can spread the news with doing very little speaking at all...through the way you live your life. Your life as a Christian can serve as a witness more than you may ever realize. Display your new self for all to see. Live as Made Alive in Christ as written in Colossians 3. Show the world what God has put into you, living fearlessly, loving unconditionally, forgiving openly, offering grace freely. Let the world SEE JESUS THROUGH YOU. Think wisely with the actions you take, the words you speak, and the way your portray yourself in your day to day actions and on your online profiles. They hypocrisy of Christianity is what turns unbelievers away. Don't be the reason someone else decided that Jesus dude isn't for them. As Easter Sunday approaches, I encourage you to let the reality of Jesus did for us on the cross really marinate your heart. Read the gospels, focus on His sacrifice for us and allow all of that to create a response to the resurrection within you that you can no longer hide. Begin to undress of your old self, and put on the new. Begin or remain worshipping Sunday mornings at a church near you, every Sunday, not just on celebratory holidays. Share the Good News through not just your words, but through your actions in life. 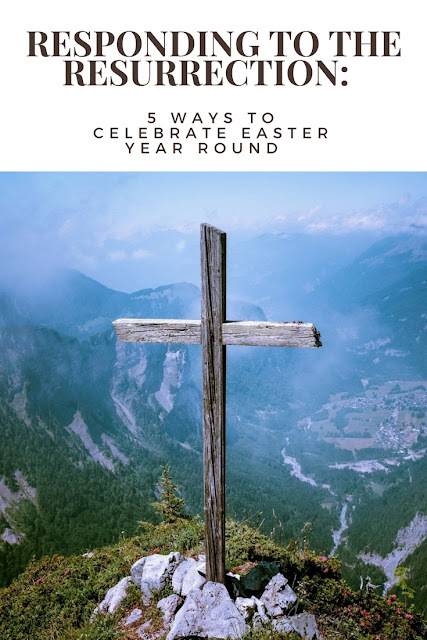 If you are living in the old life, yet are preparing to celebrate Easter, take time to think about if your actions spread the gospel of Jesus Christ, or would they turn people away from your beliefs. You may believe in Jesus, but ARE YOU A CHRISTIAN? Would people identify you as a Christian? For those of you reading this who are unbelievers, I encourage you to click the link at the very top of the page in which recounts the words of the Gospel. In addition, I recommend watching The Real Face of Jesus which gives real scientific evidence of the life the of Jesus.